Polished concrete floors look great but you need to be aware that concrete continues to shrink over its lifetime and cracks will appear. Set up of expansion joints is important and need to be considered in the design. 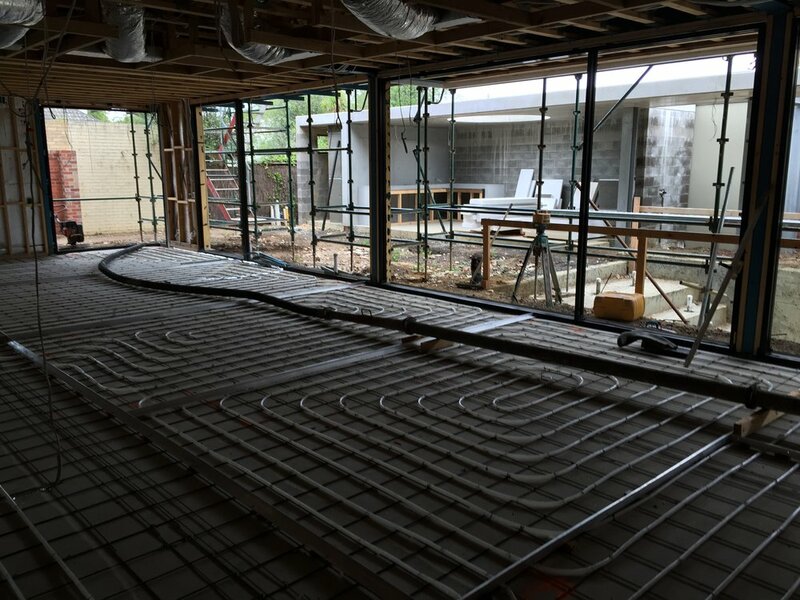 Any heating and services need to be set up properly before the concrete pour. The concrete mix can be any colour or type of stones you like, when the concrete is set you can not really tell how its going to look when finished as it looks like plain concrete. Once the polishing starts thats when you can see the colour and stones. Polishing is done by grinding the floor using a polishing liquid and gradually using a finer grade grinding discs to create a smooth, polished and sealed exposed concrete floor.